The City of Cape Town is returning to court to resolve an ongoing dispute over the proposed N1/N2 Winelands Toll Highway Project, an official said on Wednesday. Transport mayoral committee member Brett Herron said it would approach Western Cape High Court Deputy Judge President Jeanette Traverso for a procedural directive on Thursday. The directive was about the SA National Roads Agency Ltd’s (Sanral) alleged refusal to hand over documents which formed part of its decision-making process in the project despite a court order compelling it do so. In May, the high court granted the city an interim interdict preventing Sanral from implementing or advancing the toll project, including the conclusion of any contract or commencement of construction. 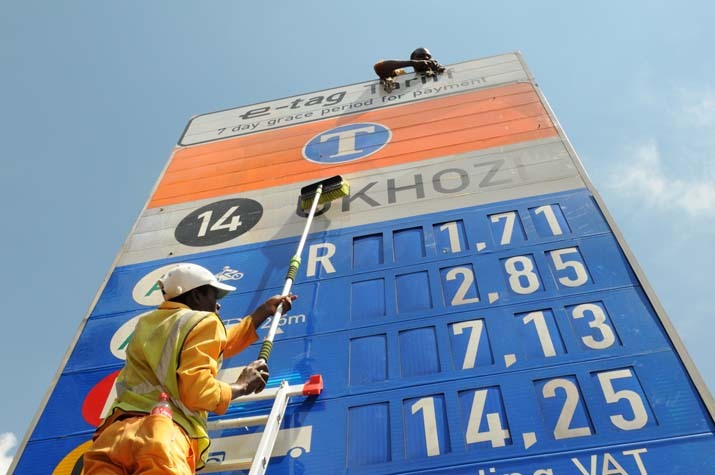 The interim relief was granted pending the court’s review of Sanral’s decision to implement the toll project. The review date has yet to be determined. As part of the interdict Sanral was instructed to hand over all documents proving that its board of directors had made decisions regarding seeking approval for the tolling project from the transport minister at the time. Sanral was also ordered to hand over a toll feasibility and strategy report, a financial analysis report produced in August 2007, and the “intensive traffic modelling” document. “Despite the court order and significant efforts by our legal team over the past six months to gain access to the documents we require we have to date not received these documents,” Herron said. He said the city had received about 60 files with “largely irrelevant documents”. The city was told that some documents were being withheld because they were confidential. These included bid documents of the consortium selected as the preferred bidder to be awarded the 30-year concession contract to operate the toll roads. Herron said the city disputed these documents were confidential but signed confidentiality agreements two weeks ago. Despite signing these agreements the city was still waiting to see the documents. If the documents were found to be unsuitable for classification the city would ask a judge to allow them to be revealed in an open court. The city’s legal battle was not against the physical undertaking of roadworks but rather against the decision process that was followed. In the interdict judgment handed down in May, Judge Ashleigh Binns-Ward said it was not in contention that the transport minister at the time, Jeff Radebe, and Sanral, had approved the declaration of the project without knowing its full cost and what the toll fees would be. It was also not in contention that they had failed to consider whether the toll would be affordable or financially viable. “The city believes that the people of Cape Town and surrounding areas are entitled to a full disclosure of the financial implications of the proposed N1/N2 Winelands toll project,” Herron said. The proposed concession route along the N1 extends from west of the R300 interchange through to Sandhills. The N2 portion of the proposed toll road concession extends from west of the R300 to Bot River. About 180km of highway in the province will be tolled should the project go ahead.